Static websites are those that deliver information as it is stored- without any new additions. These are mainly used to display static products and services of a company not requiring change in the list or data. At GoWebly.com, knowledge is associated with talent and experience, resulting in producing cutting edge visuals in web designing. We cater not only to the individuals but also businesses, to display simple information about themselves or about their company on Static Web pages. 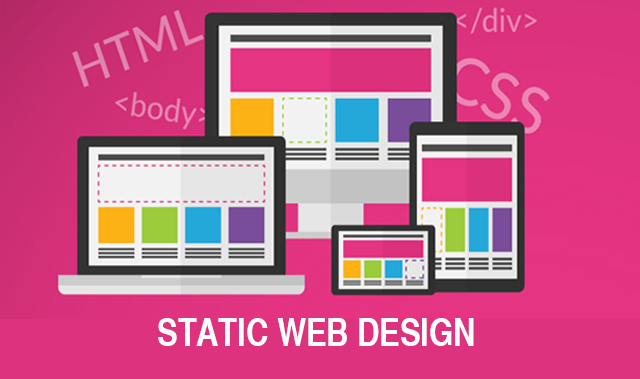 A Static website design is easy to support, and good at identifying products and services. It requires minimum HTML coding and script. It is a wide spread, cost effective and efficient form of promotion. It is best suited for businesses that do not update services and products. In case any alterations are required, they have to be done on the source page. Code, usually written in HTML is easy to write. Takes less time to load. Possible to shift to new platform with no change in database. Easy to design and economical to maintain. Customized layouts at reasonable price. Design Complies with search engines.